Learn how to rank high in Google's Search Engine with the top-notch SEO WordPress themes. In general, the article covers all of the ranking techniques with Wordpress themes. Having a personal blog or corporate website is a must-have today if you want to succeed in any business venture. However, it will be rather difficult to generate leads and revenue if your site is not SEO-friendly enough to reach the top search ranking. Your web pages should be able to attract viewers and make them return to them again and again. First and foremost, analyze your website's look and performance. If you were a customer, how would you perceive this website? Would it grab your attention at a glance as you have no more than 2 seconds to get users interested? Would it contrast favorably with competitors' resources? How does your website interact with the overall web structure? There are a lot of important question you need to ask yourself in order to get to the bottom of the matter. But almost all the answers will be based on search engine optimization. It's easy to explain. Why do you need a website? You want to make a name for yourself or your business. You understand that it's the best way to be promoted. However, if your website is not friendly to different search engines how can you reach your audience? Search engines make the web organized and well-structured, and you need to fit in with this system. When one is looking for a certain topic he/she uses a search engine. A few keywords can figure out what you want and demonstrate you tons of relevant information. If your website is not optimized, it has no chance to be found floating on the internet because it would show up on the 5-6th result page. How many people are ready to scroll endless results pages? That said, you have to take care of your site's search engine optimization ahead of the game. One of the affordable ways to get an SEO-friendly site is opting for premium SEO Wordpress themes which come with a clean and valid code, lightweight pages, SEO plugins and many more. As usual, these templates are mobile-friendly as well because Google likes the responsive design. Nowadays most of the web traffic comes from the mobile searches, and this fact should be taken into account primarily. There have been listed 15 top-notch Wordpress themes that are optimized for search engines. 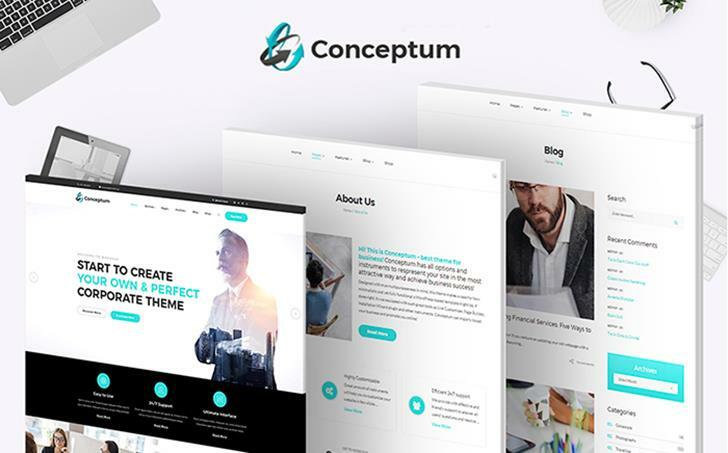 Conceptum is an innovative, elegant and carefully crafted website template based on the latest web trends. It perfectly suits to run an efficient corporate website with multiple pages for all occasions. Alongside with fast loading web pages, you achieve extensive functionality, different header/footer layouts and blog styles, tons of web fonts and other usable components. SEOmix will help you launch an effective, visually appealing and professionally designed SEO company on the web. The theme is powered by the newest HTML5 and CSS3 technologies and takes several minutes to be installed. 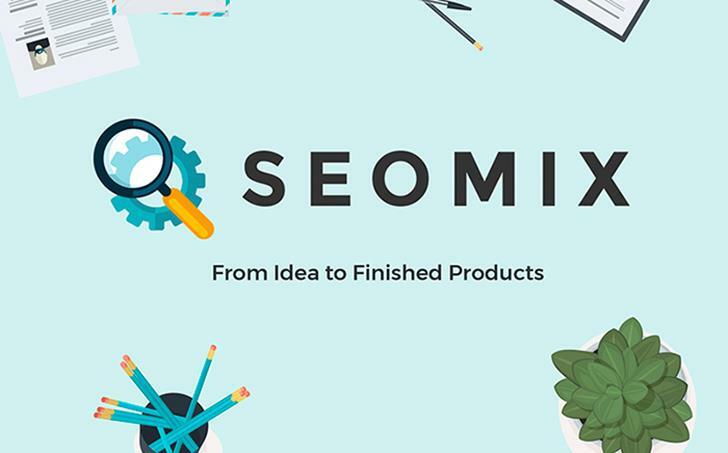 Having bought SEOmix, you achieve the rich package of necessary elements like outstanding plugins, bonus images, a variety of page layouts, and more. 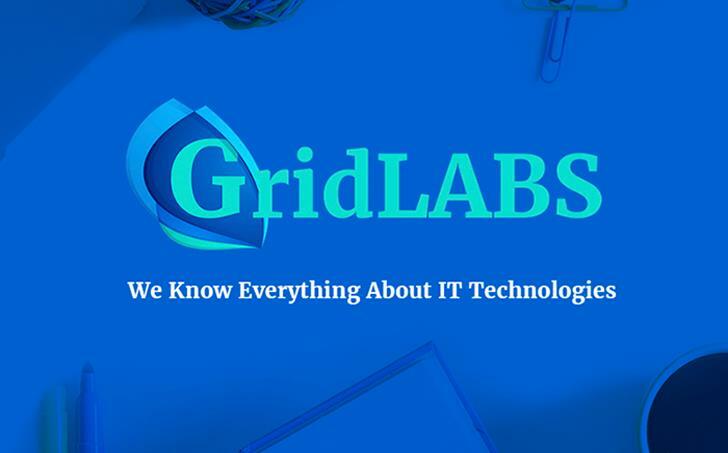 GridLabs is the excellent feature-rich platform to establish a powerful IT company on the web. Thanks to clean and valid HTML code, you won't have difficulty with the theme's installation and customization. The SEO enhancements have been implemented from the codebase up, providing your site with high performance and allowing to improve the search engine rankings as well as significantly expand your user base, increase your traffic and maximize your ad revenue effortless. 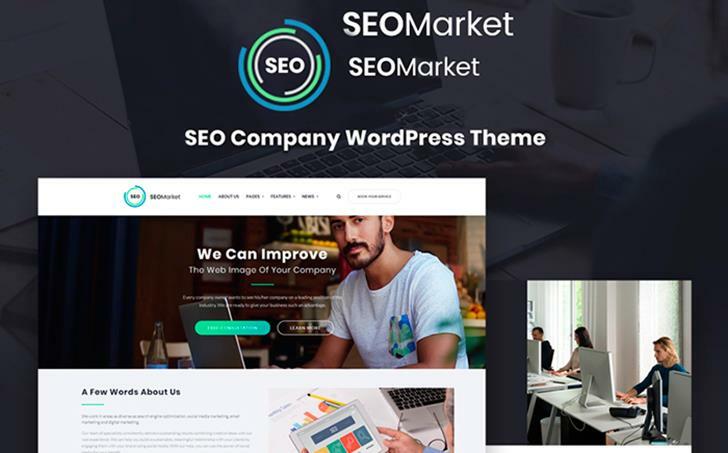 SEOMarket is a well-structured and cutting edge, visually cohesive and well integrated WP theme that will help you set up an SEO-related business. Built around the WordPress Live Customizer tool, the theme lets you craft your own pages in a matter of minutes. It includes loads of options for you to customize every aspect and element of your website with utter speed and simplicity. Seo Wave is a clean framework for building an SEO and marketing company without any hassle. Your advanced theme settings let you take control of your social media presence. Thanks to its SEO optimized code, the theme is both lightweight and a top search engine performer. Coming with a powerful Visual Composer plugin, the template gives you a chance to build any layout you can imagine. 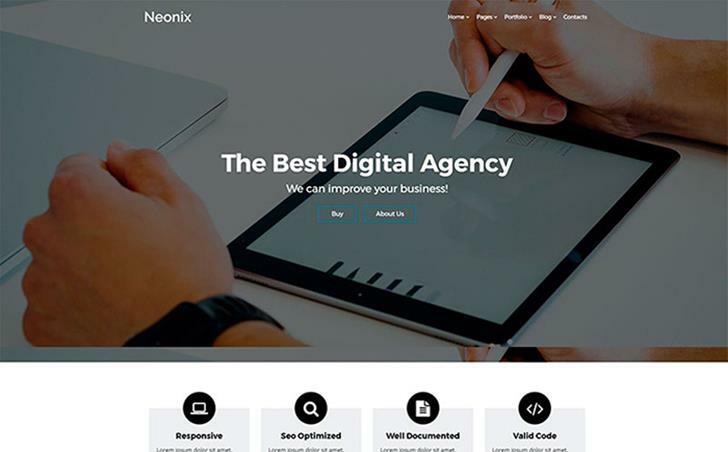 Neonix is a smart and tech-savvy, visually appealing and carefully designed theme that will definitely enrich your digital agency. The template is translation ready letting you spread your business all over the world and reach out to the more audience. The theme is equipped with numerous custom widgets including Google maps, CTA buttons, slider, and other usable elements. 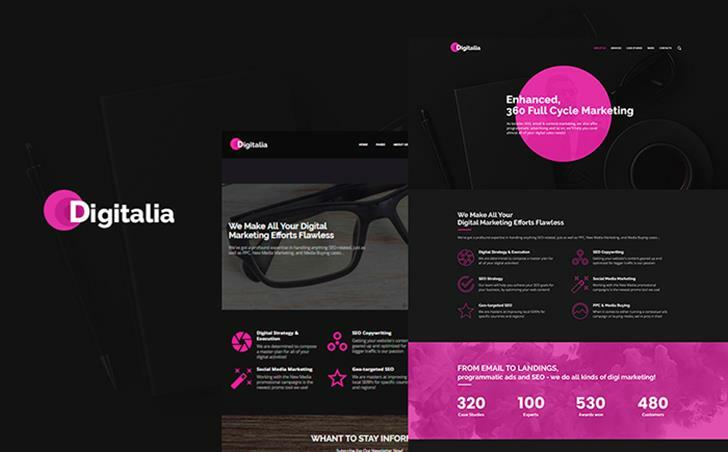 Digitalia is a truly remarkable and technologically sophisticated WP theme with impeccable functionality and contrasting design. Enhanced with Elementor Page builder, the theme provides with a number of possibilities to personalize it and turn into a solid website. Despite its extensive functionality, the template's pages are lightweight and fast loading so Google will recommend you. 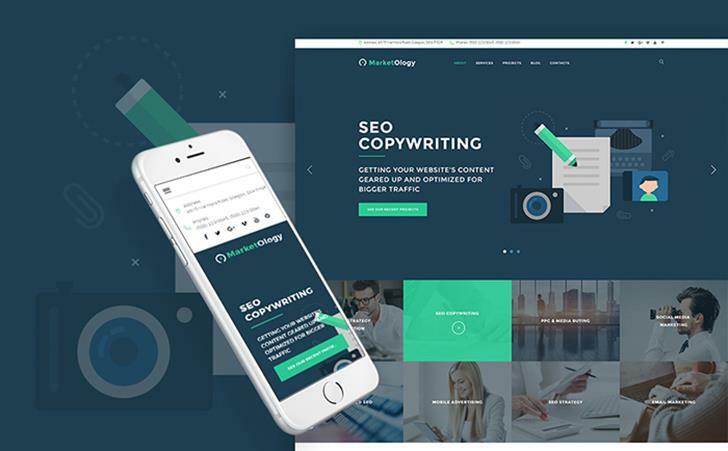 MarketOlogy is a reliable and cutting-edge, well-organized and user-friendly theme that has been designed especially for SEO and marketing agencies. The theme supports WooCommerce and Ecwid plugin that allows you to launch your own fully-fledged e-store with all the necessary tools and options for efficient selling process. To add credibility to your business, use a convenient commenting system. 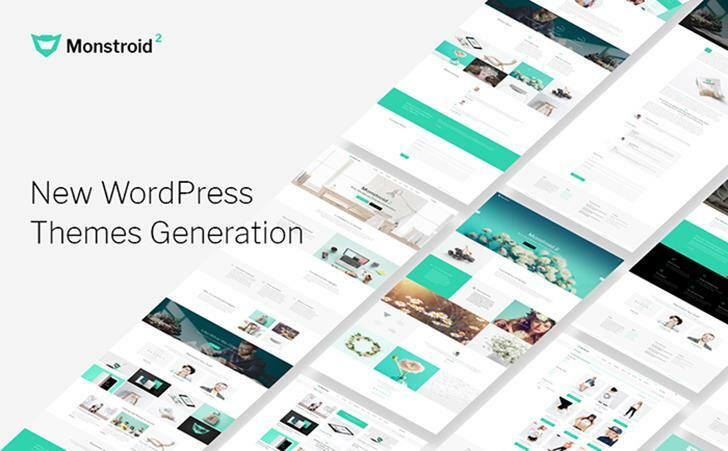 Monstroid2 is an user-oriented and SEO-friendly multiuse WordPress theme that will come in handy those who want to run a business online. It has been created with simplicity in concept so alongside with minimalistic design you achieve advanced functionality. Thanks to Parallax animation, the theme is visually appealing and truly remarkable on the web. 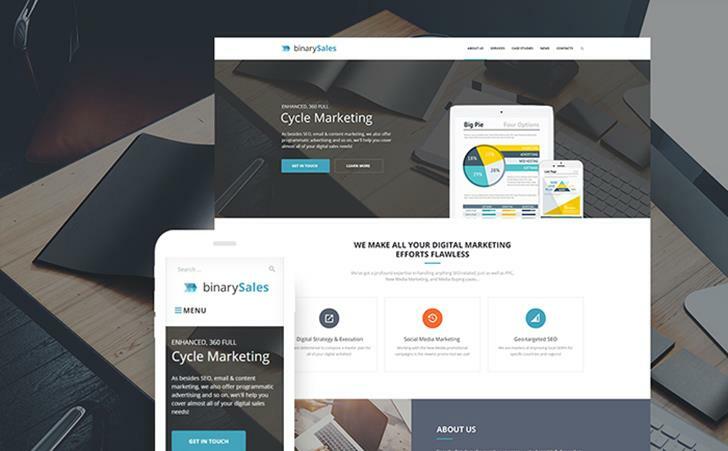 BinarySales is easy to install and configure up to your needs even without the need of special skills and web knowledge. It includes all the necessary features to launch a digital agency that will reach the high ranking effortless. Alongside with multiple customization options, you get social media integration and comprehensive Admin panel to take control over the site building process from cover to cover. 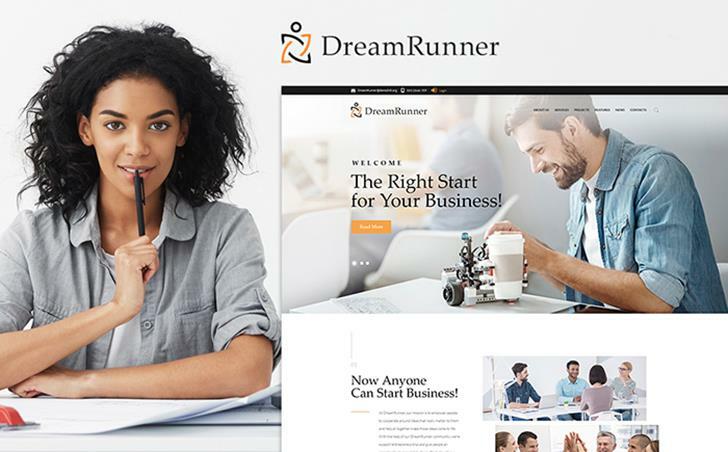 DreamRunner is a stylish and trustworthy, truly elegant and completely responsive template with the next generation of drag and drop page builder. This Retina-ready theme is stuffed with a great number of header and footer layouts, several stunning blog patterns and tons of widgets and Elementor modules. It's easy as pie to customize the theme in accordance with your business niche needs. 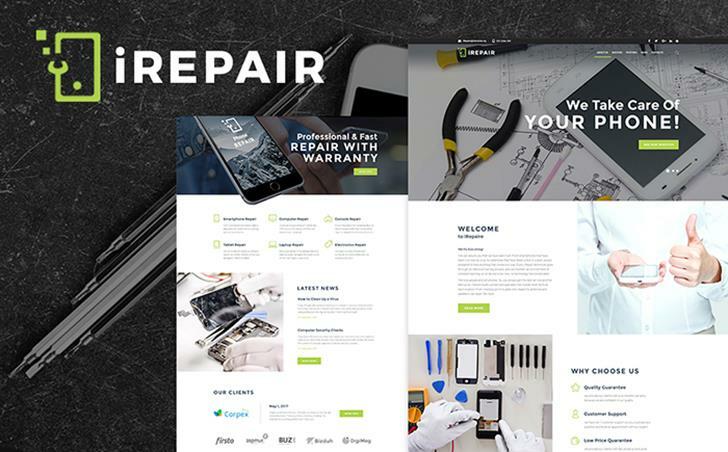 iRepair is a technologically sophisticated and well-organized WP theme with an extensive range of awesome plugins. With their help, you will be able to add functionality to your site and improve its performance effortless. The theme has multiple advanced options that can be easily customized with the handy Live Customizer tool. 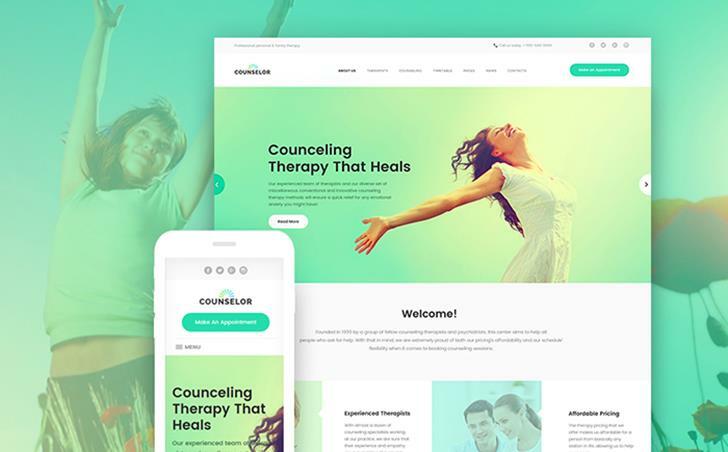 Counselor is a contemporary website template for a counseling therapy center. The intuitive design of the theme handles both the texts and images effectively. With the trendy color scheme and the rich access to hundreds of web fonts and icons, you can adjust the theme up to your preferences and turn it into a powerful website. 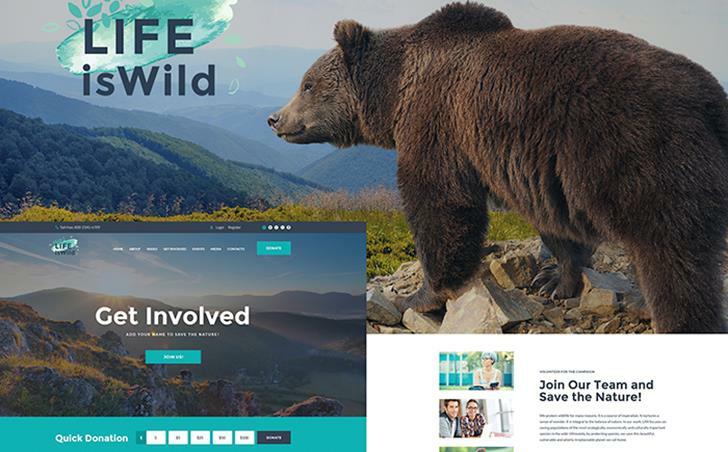 LifeisWild is a visually appealing and tech-savvy theme with the extra flexible Power Page Builder allowing you to create any page you want. The template also comes with tools and options that give you absolute control over the structure and design of your website. Its fully responsive layout will make your website look amazing on any modern devices. 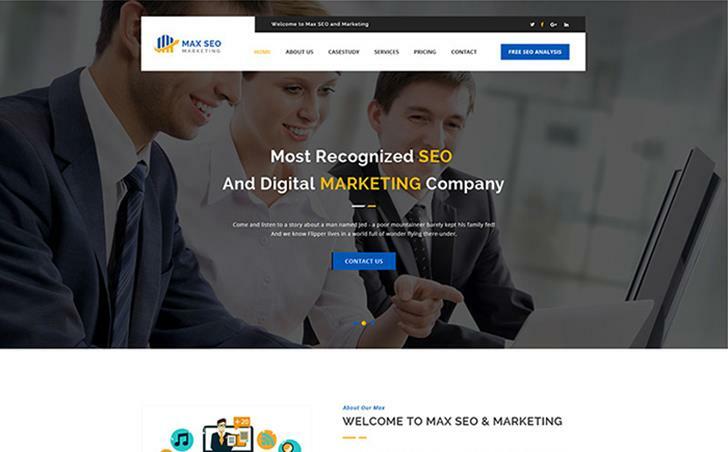 Max Seo is an awesome WordPress theme specialized on marketing and SEO. It offers all the necessary tools and options to run a visually appealing marketing service online. As the theme comes with accurate documentation and constant updates, you won't have difficulty to maintain it and adjust to the latest web needs. Moreover, Max Seo has a retina ready and completely responsive design. It does not matter what your business is. Everything - from massive corporate pages to a simple review site or blog - needs exposure to survive, and this exposure can only be achieved through optimization. 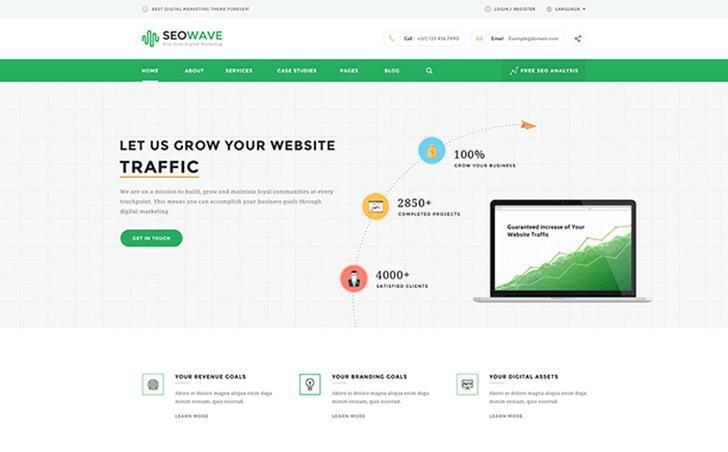 This stunning collection of SEO-friendly themes will come in handy those who want to get monetary benefits from the website.